Bridesmaids! 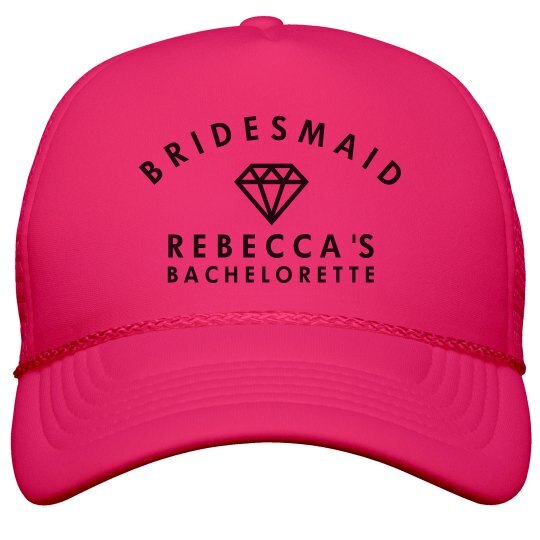 Get some cute neon trucker hats for the bride-to-be's bachelorette party. Let everyone know who's big day your celebrating with this neon hat. Add the brides name or the wedding date. You girls are going to look great while you party in these neon hats before the wedding.